Korey Pasch is a doctoral candidate in the fields of International Relations and Comparative Politics in the Department of Political Studies at Queen’s University in Kingston, Ontario, Canada. Korey received an Ontario Graduate Scholarship to assist in his doctoral research. His dissertation centres around the International Political Economy of disasters and how the governance of disasters is changing within the contemporary global political economy. 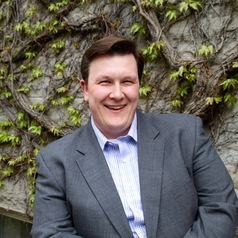 Korey holds an Honours Bachelor of Arts with a double-major in Political Science and Philosophy from the University of Toronto, as well as Master of Arts in International Relations with a dual specialization in Global Politics and Global Political Economy from McMaster University in Hamilton, Ontario. Korey is interested in the various connections between states, intergovernmental institutions such as the United Nations and the World Bank, global capital markets, and the insurance industry that have resulted in the emergence of novel financial instruments known as Insurance Linked Securities (ILS) and catastrophe bonds. Korey’s research seeks to situate the expansion of these instruments within the evolution of larger processes of political and economic power, capital circulation, and the production of global systemic risk. Specifically, Korey’s research looks at the development of ILS within the United States, conducting field work in both Florida and California, and the spread of these instruments to other states and institutions. Korey is interested in how ILS has been integrated into the disaster mitigation policies of actors in the global political economy, such as other states, organizations such as the United Nations Office for Disaster Risk Reduction and the World Bank. Korey's work has been featured in a variety of media including: Alternet, The Conversation, Global News Radio, The National Post, The Weather Network, The Whig Standard, and NPR.